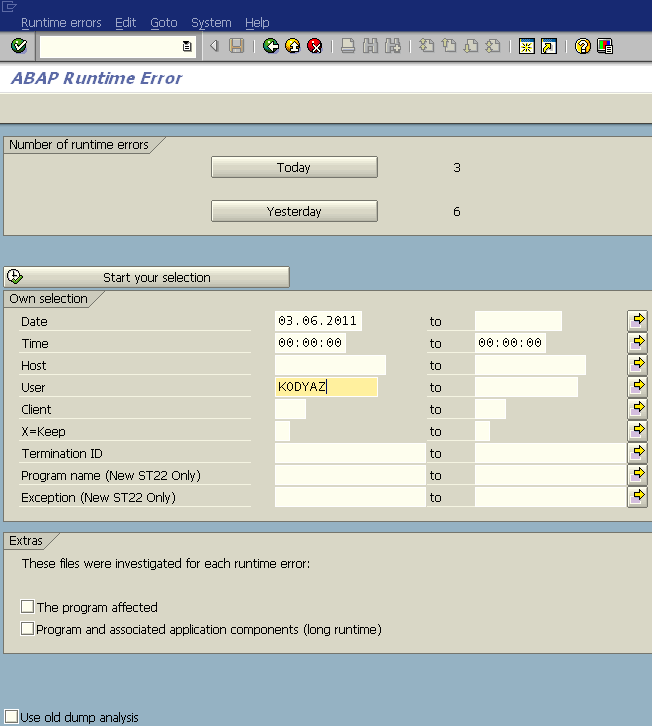 As seen in the following screenshot, the current numbers of ABAP short dumps occured today and yesterday are displayed. ABAP developers can easily list the short-dumps using the Today and Yesterday butons on the screen. Of course, for more detailed searches ABAP workers can use the filter screen with different search parameters.